A quick update for our regular website reader on our recent film work as I know you love to hear about this! When you watch the Nikkon Advertisement, shown at least thrice nightly on all commercial channels, you will see the Twist and Waltzer rides. Ours of course! We were amazed how quickly the company moved from shooting the film to screening it, but we suppose as a camera company they have access to processing facilities! Mind you, in this digital age processing is a thing of the past. Then there was the use by “How to Look Good Naked” of a set of our distorting mirrors. Having taken the original call from them, I initially thought they had come to a totally inappropriate person but fortunately it was the mirrors they wanted and not me! We have featured in recent film production when three large rides were hired for a day of intensive work in central London, and despite the schedule being tight and flexibility being needed, we managed to achieve this in the time available and within the budget set. More details on this when it is to be shown as at the moment it is a little hush hush. Carousel horses have been popular this year, and even giant Tea Cups from our children’s rides. We are perfectly prepared to dismantle and re erect equipment if that meets your needs. 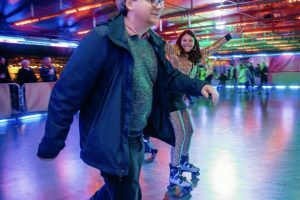 Also, keep your eyes peeled for Silent Witness where they are showing an episode on a murder at a fairground, because this was shot on location at Wembley last Christmas and New Year. We cannot wait to watch despite the fact that we know who dunnit! Finally, a note for film and stills producers. You get superb value by filming at our fairgrounds on days when we are closed, because we pass on the saving on transport and staff to you. It is far more economical for you to shoot on site (that does not sound right really!, perhaps film on location is better) than to seek our taking rides to studios. 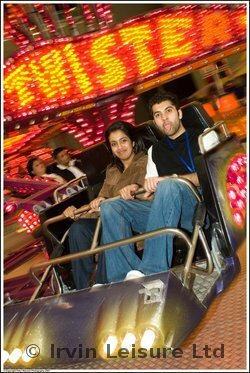 Also, with our help we can assist in ensuring that your story is truly reflective of the fairground industry. So check on our forthcoming fairs and you will see where we will be. But please, please, do not ring and say that you have no budget for using our equipment and staff because whilst we are reasonable and offer good value, we are not daft and certainly not inclined to offer free facilities for companies making a commercial gain! We have worked for free for Documentaries and for programmes on the history of fairs, and also provided backdrops for news and current affairs features, but if you are making a commercial programme or taking fashion shots, unless you, the director, plus the camera crew and actors/models are working for nothing, do not expect us to!